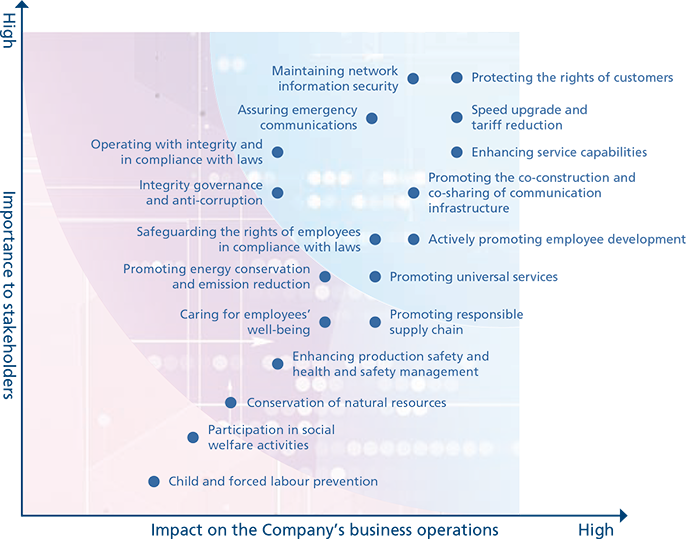 By adhering to the core values of "comprehensive innovation, pursuing truth and pragmatism, people-oriented approach and creating shared value", China Telecom persists in incorporating corporate responsibilities in the aspect of Environmental, Social and Governance (ESG) into development strategy, daily operation and management activities. The Company also perseveres in the fulfillment of its responsibilities for the stakeholders, while committing to step on a responsible development path and continuously enhancing corporate comprehensive values. The Company strictly complies with the provisions of the Environmental, Social and Governance Reporting Guide as set out in Appendix 27 to the Listing Rules of The Stock Exchange of Hong Kong Limited. The Board of Directors of the Company attaches high importance to the work on Environmental, Social and Governance ("ESG"), and is responsible to evaluate and determine the Company's ESG-related risks, ensuring the Company has established effective ESG risk management and internal control systems and formulated the Company's ESG management policy and strategy. The Board also regularly reviews the Company's performance and approves the disclosure of ESG reports to ensure the Company's level in fulfilling ESG responsibility is persistently improved. This report has been reviewed and approved by the Board of Directors for publication. The Company establishes an ESG working group which is managed by senior management, while the corporate strategy department coordinates the daily work of ESG with relevant departments in the headquarters, provincial branches, professional companies and units directly under the headquarter. ESG working group is authorised to be responsible for the implementation of the Company's ESG strategies, continuously promoting ESG performance management and monitoring, information disclosure and relevant fundamental management work. The Company established its own system of ESG Indicators, set up the internal process of collecting and monitoring the data on ESG performance and refined procedures on ESG data's collection, review and application. In accordance with A Step-By-Step Guide to ESG Reporting issued by the Hong Kong Stock Exchange in 2018, the Company perfected its information disclosure and regulated the disclosure of detailed information on how the Company fulfills its responsibility in the aspect of ESG governance. The Company promotes communication with its investors, customers, employees, government and regulatory institutions, communities and other stakeholders through various channels including announcements, reports, meetings, seminars, visits, service hotlines, questionnaires and events. The Company earnestly listens to the expectations, interests and needs of the stakeholders, sorts out the opinions and suggestions from all parties and actively respond to the concerns raised. In accordance with the ESG subject areas contained in the Environmental, Social and Governance Reporting Guide, while taking into consideration the expectations and needs of stakeholders based on the characteristics of our business operation and the industry as well as the impact of our business operation on the economy, environment and society, the Company assesses ESG issues that are relevant and material to the Company's operation from the dual perspectives of its importance to stakeholders and its impact on the Company's business operations, and selects and establishes a materiality matrix (see below) as the basis for the Company's ESG report's disclosure. This report is a yearly report which covers the policies, measures and performance on the ESG-related issues of the Company and its subsidiaries (branches) for the period from 1 January 2018 to 31 December 2018 (reporting period). For details of compliance with the Environmental, Social and Governance Reporting Guide of the Hong Kong Stock Exchange, please refer to the ESG Reporting Guide Index in this report. China Telecom governs the corporate in accordance with laws and regulations, persists in operating in compliance with laws and integrity through abidance by relevant laws and regulations and industry regulations. We established an all-rounded and seamless compliance system featuring internal control, audit supervision, anticorruption and comprehensive risk management. The Company has established a sound, long-term and effective communication mechanism in order to regulate the disclosure of corporate information, and is open to government supervision and public scrutiny. In accordance with Company Law of the People's Republic of China, Accounting Law of the People's Republic of China, Contract Law of the People's Republic of China, Cybersecurity Law of the People's Republic of China, Anti-Monopoly Law of the People's Republic of China, Anti- Unfair Competition Law of the People's Republic of China, Securities Law of the People's Republic of China, Code of Corporate Governance for Listed Companies in China published by the China Securities Regulatory Commission and other laws and regulations and the regulatory requirements governing internal control of listed companies in capital markets such as the USA and Hong Kong, the Company established its Internal Control Manual to ensure that the Company's operation management is in compliance with laws and regulations, the assets are secured, and the financial reports and relevant information are accurate and complete. In compliance with the Trademark Law of the People's Republic of China, Patent Law of the People's Republic of China and other laws and regulations, the Company implemented systems and measures including Guidance Opinions of China Telecom on Strengthening Intellectual Property Work, Operation Guidelines of Intellectual Property Management in Product Development, Administrative Measures on Trademark Management of China Telecom Group, Interim Measures for the Patent Management of China Telecom Group. The Company established a sound intellectual property management system and strengthened the protection of intellectual property rights. The Company strictly executed the laws and regulations on integrity governance and anti-corruption, established and optimised five major mechanisms including anti-corruption education and prevention, system monitoring, discipline and accountability, fault tolerance and correction, and inspection and check. The Company formulated guidance opinions on construction of integrity culture and code of conduct such as integrity manual, and opened and operated a public WeChat account called "China Telecom with Integrity"; set up whistleblowing postal mailbox, emails and hotline to address any report of whistleblowing allegations and relevant complaints against its employees as well as relevant criticism, opinions and recommendations on integrity construction and anti-corruption work. In 2018, according to the laws and regulations and the requirements of regulatory authorities, in line with the changes in business operations, the Company continuously strengthened compliance management, perfected the Internal Control Manual and other rules and regulations, continuously assessed the implementation of rules and regulations, and timely rectified the problems once being identified. 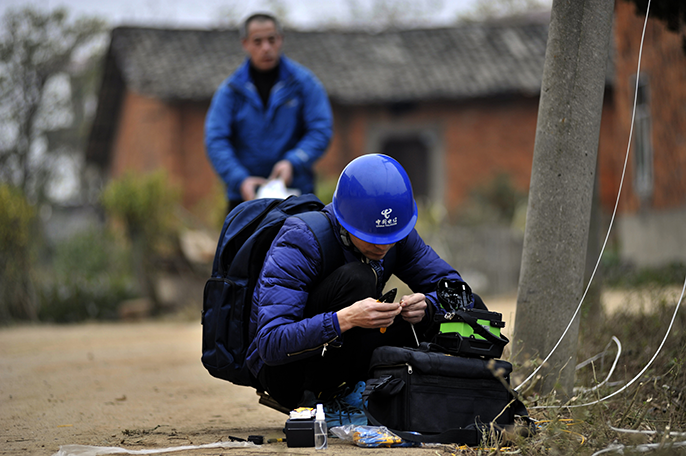 China Telecom promoted the construction of fundamental network and new style fundamental infrastructure, while at the same time commencing network "Speed Upgrade and Tariff Reduction", promoting universal services, maintaining network information security and assuring emergency communications in order to provide high quality network assurance. Promoting "Speed Upgrade and Tariff Reduction"
To construct higher quality 4G and fibre broadband network, the Company enhanced in-depth coverage level of 4G network and devoted to improve network quality, particularly in traffic-intensive and voice-intensive zones such as high-speed trains, expressways, colleges and universities, high-density residential areas, high data traffic commercial areas and subways by applying dynamic bandwidth expansion in our base stations on a monthly basis, and thus enhancing customer experience. To achieve commercial trials of VoLTE (based on 4G network calls), the Company further enhanced the fibre broadband coverage in urban cities and towns, and integrated customers' needs to actively deploy Thousand-Mbps fibre broadband network. The Company continued to reduce handset data tariff and ceased to charge domestic data roaming fees, while the long-distance tariff charges for international, Hong Kong, Macau and Taiwan were further reduced and standard tariff for business dedicated line products was reduced. "Speed Upgrade and Tariff Reduction" has benefited a broad range of users. The requirement of reducing data tariff of mobile network by at least 30% has been accomplished, while the average wireline broadband access bandwidth increased to 104 Mbps. 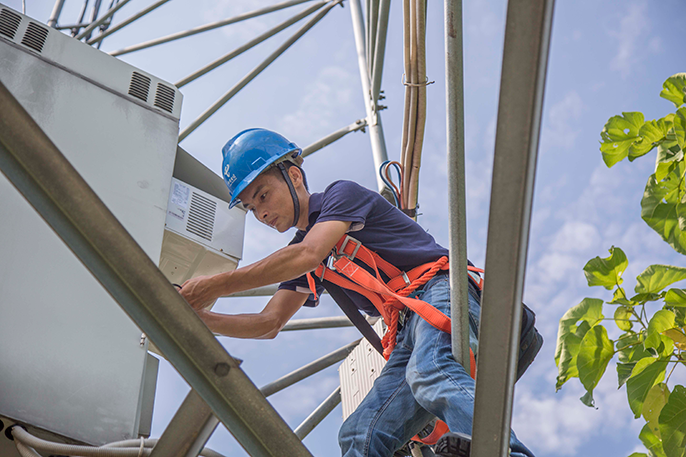 The Company continuously promotes the construction of communication networks in rural areas and remote rural villages and strives to improve broadband access coverage in rural areas. The Company has set up local services points for rural villages, proactively promoted informatisation applications and e-commerce development in rural areas, which accelerated to promote the prosperity of rural villages. The Company also accelerated the construction of universal services projects and accomplished the construction task of building the fibre cables of approximately 50,000 administrative villages during the year. 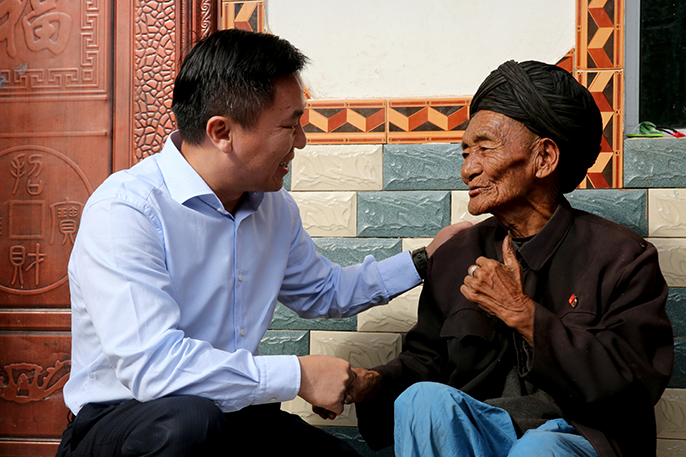 Continuing to promote network poverty alleviation, we achieved "Double 75%" coverage of fibre broadband and 4G for administrative villages in the deep poverty regions, including "Three Districts and Three Prefectures". "Three Districts" means Tibet, Sidi Prefecture in southern Xinjiang, and Tibetan areas in Qinghai, Sichuan, Yunnan and Gansu Provinces. 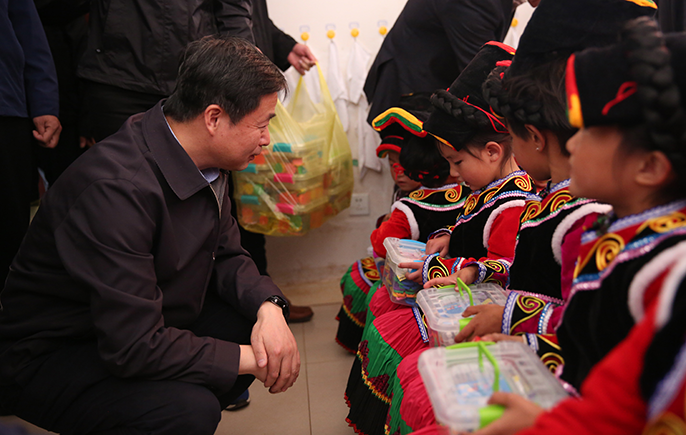 "Three Prefectures" means Linxia Prefecture in Gansu, Liangshan Prefecture in Sichuan, and Nujiang Prefecture in Yunnan, creating better telecommunications and network condition for poverty-stricken villages to alleviate poverty. The Company complies with the Cybersecurity Law of the People's Republic of China and other laws and regulatory requirements in relation to network information security, conscientiously implements the requirements of the Ministry of Industry and Information Technology, Ministry of Public Security and other authorities on prevention and cracking down on communication information frauds, and proactively takes preventative and corrective actions on various network and information security risks. In 2018, the Company further improved the network and information security management systems and perfected normalised discussion and work mechanism. The Company strengthened network and information security trainings and carried out promotion activities widely to the public through sales outlets and other channels during the promotion week for national network security. With the implementation of the measures on preventing communication information frauds such as real name authentication of IoT cards, the accountability and punishment system has been strengthened. We also strengthened the response plan on network and information security risks and governed the network security flaws promptly. As a result, the number of network security flaws of China Telecom informed by the Ministry of Industry and Information Technology had significant decreased compared to last year. We undertook the requirement from the Ministry of Industry and Information Technology on ratification of Internet environment, with over 12,000 phishing and fraud websites disposed of during the year. In response to the network security emergency plan promulgated by the Cyberspace Administration of China and the Ministry of Industry and Information Technology, the Company formulated the public Internet network security emergency plan. The Company is truly committed to the mission of providing safe and smooth assurance communications, and is devoted to fight against a number of severe natural disasters such as earthquake, typhoon, flood and landslide and to safeguard important events. In 2018, we successfully accomplished disaster relief and emergency telecommunications assurance for debris flow in places including Gansu and Sichuan, typhoon "Mangkhut" and typhoon "Ampil", earthquake in Yunnan Mojiang, landslide in Jinsha River and Yarlung Zangbo River with over 80,000 relief workers, over 20,000 rescue vehicles and over 17,000 pieces of emergency communication equipments deployed and over 37 million emergency public service messages sent. 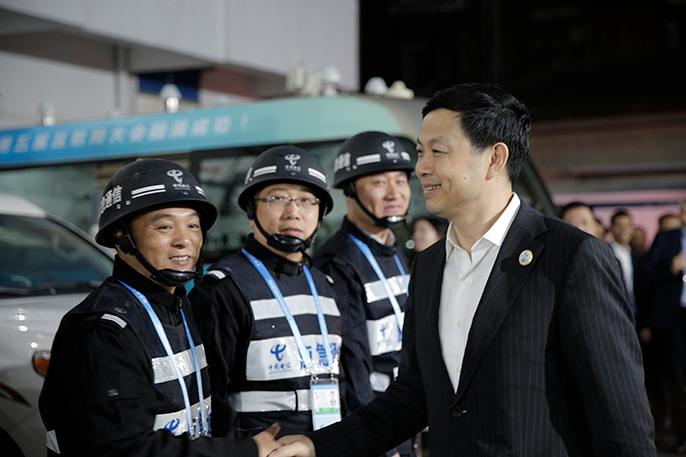 We also successfully provided telecommunications assurance for important events including the Shanghai Cooperation Organisation Qingdao Summit, Beijing Summit of the Forum on China-Africa Cooperation, the first China International Import Expo, Boao Forum for Asia, World Internet Conference, the first Digital China Summit with over 150,000 assurance personnel and over 20,000 rescue vehicles were deployed. China Telecom has a profound understanding of the customers' needs. While being dedicated to providing customers with fundamental service such as high-quality 4G and fibre broadband, as well as emerging businesses including HD IPTV, cloud computing, Big Data, Internet of Things, digitalised ICT industrial informatisation application and mobile payments, the Company focuses on protecting customer rights, persists in construction of service capability, promotes intelligent service, endeavouring to improve service quality and service level. The Company strictly conforms to the laws and regulations regarding consumer rights and interests such as Law of the People's Republic of China on Protection of Consumer Rights and Interests and Advertising Law of the People's Republic of China, dedicates to provide products and services in compliance with laws and regulations, performs compliance checks on advertisement campaigns and continuously standardises the business tariff management. The Company strictly complies with the Cybersecurity Law of the People's Republic of China and other laws and regulatory requirements, implements the relevant regulatory requirements of the government, continuously improves the users' personal information protection management system, and strengthens the protection of users' personal information. In 2018, the Company conscientiously followed the Administrative Measures of China Telecom on Security Management of Personal Information of Users and the Administrative Measures of China Telecom on Security Management of Information of Users and other regulations, carried out supervision and inspection on users' personal information and urged enterprises at all levels to implement the division of responsibility on protection of users' personal information in order to ensure that business, operations and systems must thoroughly protect information security. We regulated behaviours of collecting, storing, transmitting, using and destroying of user information and strictly controlled the authorisation permission for sales staff to access and edit customers account information in order to "collect information for a proper purpose, store and use the information properly, record the supporting for information usage, and investigate the abuse of information". The Company collected and listened to users' opinions via channels like "Hotline 10000", online and physical stores, and continuously carried out events such as "Customer Rights Day", "General Manager's Service Day" and "Listen to Hotline 10000". In 2018, we strengthened the control and management on complaints that we received, accelerated the process on handling the complaints and established a two-level complaint tracking and improvement mechanism at headquarters and provincial branches in order to promptly rectify issues. Among them, in respect of the hot topics such as the controversial issue on the fee of value-added services and the different rights between new and old users, the Company remediated in a timely manner and carried out a "zero tolerance" policy on illegitimate deduction of tariff. The customer complaint rate of China Telecom for 2018 was lower than the target set by the Ministry of Industry and Information Technology, which remained at a relatively low level amongst its industry peers. The Company enhanced capabilities for core services. In 2018, we endeavoured to enhance the capabilities on network connection for government-enterprise customers, cloud computing and Internet of Things services, shortened the response time of installation, transfer and repairs for normal broadband and business dedicated line, enhanced the timely provision of end-to-end services for wifi networking and enhanced the timely provision of repair services for Internet of Things services. We monitored and analysed the video quality of e-Surfing HD business to improve the quality of video streaming. The intelligent service capability has been enhanced. We created "Smart 10000" hotline by continually using artificial intelligence and Big Data technology. On the one hand, the Company deepened the operation of "Smart 10000" hotline and enhanced the proportion of intelligent interactive services. On the other hand, the Company proactively developed smart tools to enhance the efficiency of handling complicated problems, of which, the smart predicative tool can effectively reduce the traffic processing time, and smart tools such as smart bill and one-click diagnosis help customer service representatives to handle questions on topics such as fee or network usage asked by the users. The network service capability has been enhanced. We established a service model and service process named "self-service, assistance and support" to facilitate the convenience of customers, improved 46 items of service capabilities such as top-up data traffic for mobile users, change of service package and invoice and bills. We promoted and achieved the common service functions such as enquiry of broadband resources, new installation and renewal of contracts and launched special services area named "My customer services". We continually enhanced the new media customers services capabilities, introduced services robots at online service points in order to facilitate the convenience for customers to pay bills and enable us to handle enquiries and complaints promptly. We adjusted to adapt to the video watching habits of customers, further promoted the video customers services by showing short videos directly to solve customers' problems vividly. According to assessment conducted by the Ministry of Industry and Information Technology, in 2018, the customer satisfaction rate on handset Internet access, mobile voice, wireline broadband and wireline voice has increased at different levels compared to the previous year while the Internet access from mobile and wireline broadband of China Telecom continued to maintain leading position in the industry. China Telecom safeguards the interests of its employees in accordance with laws, attaches great importance to building harmonious labour relations, supports labour unions in carrying out their functions, encourages the employees to participate in the management and actively helps the employees to improve their capabilities, so that the Company and the employees can grow together. The Company strictly complies with and implements the relevant laws and regulations regarding labour and protection of the employees' rights and interests including the Labour Law of the People's Republic of China, the Labour Contract Law of the People's Republic of China and the Trade Union Law of the People's Republic of China, and protects the rights and interests of employees with respect to labour rights, democracy rights and spiritual culture in accordance with the laws. The Company strictly implements the Notice on Standardisation of Labour Management in Strict Compliance with the Labour Contract Law of the People's Republic of China, improves labour and management system conducts workforce employment in accordance with laws and regulations. The Company also ensures that all contract employees have their labour contracts signed and their social insurances paid. The Company strictly implements the Notice on Issues concerning Labour Dispatch Management, improves the business operation models and job role classification, determines the employment form of each role, standardises the agreements signed with contract or agency workers and urges these dispatch units and dispatch works to sign employment contracts, pay social insurance and to protect the rights and interests of contract or agency workers. 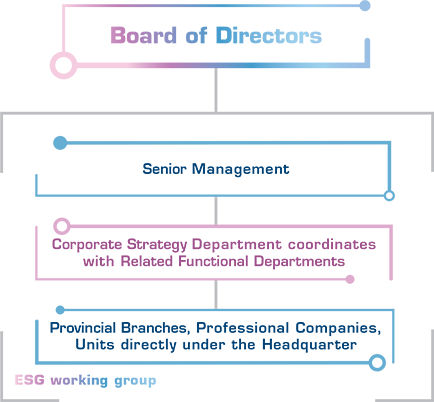 The Company adheres to principles of gender equality and equal pay for equal work, protects the privacy of employees in accordance with laws and implements the paid annual leave system. The Company prohibits child labour and forced labour in accordance with laws. In 2018, no child labour or forced labour were found. The Company supports the labour unions in carrying out their functions in accordance with laws, encourages employee participation in management and continuously establishes stable and harmonious relationship with the employees. The Company strengthens the construction of the high-level professional teams. In 2018, we further implemented China Telecom High-Level Professional Talent Management Measures, strengthened the establishment of the professional teams equipped with abilities to support the transformation. We initialised a new session of China Telecom Chief Expert selection and carried out a project named "Spark Programme" for the cultivation of professional leading talents in the aspects of 5G, cloud computing and Big Data in order to select and cultivate outstanding young professionals. To further leverage on the professional workstation's function in cultivating and developing the potential of professionals, the new generation of business supporting system was built to operate and maintain the professional workstation, optimise the existing talent inter-changeable mechanism and the recruitment of talent team of professional workstation, encouraged professionals to develop and bring out their expertise in the important projects such as intelligent network, digitalised ICT solution plan, research and development of cloud service platform for business supporting system. We carried out the pilot programme of Talent Zone in the area of cloud computing such as the selection and management of innovative project manager, team building, talent communications, evaluation, incentivisation and services. We proactively discovered and promoted the talent development in a new approach and new model. The Company strengthens employees' training. The Company fully exerted the online and offline training capabilities of China Telecom College and China Telecom Online College and developed training courses focusing on enhancing abilities for various job levels and skills at all levels. In 2018, we strengthened the leadership training to operation management personnel at all levels, strengthened the establishment of employees' cultivation training system, and continuously carried out training of professionals at all levels. We organised and initiated a new round of "Unit CEO" capabilities enhancement and talent cultivation work through practical curriculum built on business development needs and the career requirements of "Unit CEO" to strengthen the training of techniques of internal trainers and project managers. 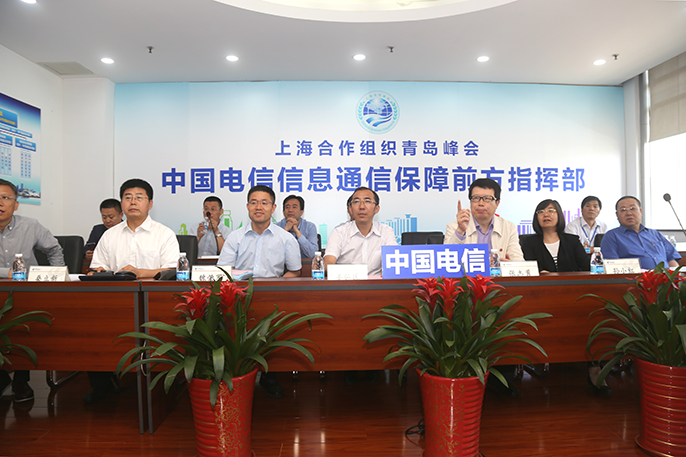 The training session arranged by China Telecom College has been attended over 4,600 times. China Telecom's new employees structured tutor project and the physical channel "training & promotion" practice project were awarded "2018 ATD Excellence in Practice Award". The Company actively promotes skills and value enhancement of employees. The Company continually deepened the featured reform model of three-dimensional inter-driven forces comprising "sub-division of performance evaluation units, professional operation and top-down support", strengthened the incentivisation and support to grassroots autonomous operation entities, encouraged junior employees to fully develop their skills and continually enhance their values in the development of entrepreneurship. We implemented the revised the Administrative Measures of China Telecom on Skills Competition and other measures, consistently held various staff skill competitions and knowledge contests, fully mobilised the function of innovation workshops, guided the staff to improve their capabilities and quality and encouraged them to strive for innovations in their daily job. In 2018, cumulatively over 1,200 staff innovation workshops were built, more than 2,500 times for the selection activities for the innovations work of the staff were organised, over 19,000 innovation results or cases were collected and over 5,500 results were recognised and promoted. 18 employees were awarded the title of "Technical Master of China's State-owned Enterprises", 116 employees were awarded the title of "Technical/Labour Master of the Company", and 847 employees were awarded the title of "Technical/Labour Pacesetter of the Company". The Company strictly implements the Work Safety Law of the People's Republic of China, fully fulfills the core responsibilities for corporate safety production, develops sound accountability systems, implements safety responsibilities at all levels, strictly implements safety production assessment and punishment system and continually solidifies the foundation of safety production management. The Company continually carried out supervision and assessment on all professional categories and units of safety production, timely eliminated hazards and achieved standardisation of early elimination of hidden dangers and closed-loop management mechanism. The Company widely promoted through communication and education of relevant laws and regulations, internal policies and rules on production safety, persistently increased the employees awareness on safety and emergency prevention techniques. The Company strengthened the safety management of engineering projects, strictly implemented licences obtaining system for special operation employees, perfected the accidents emergency drill and strengthened the emergency drill. In 2018, there has been no occurrence of severe casualties and accidents. The Company attaches great importance to occupational health and safety by regularly organising the employee medical examination and continuously improving workplace environment, thus effectively eliminating the occurrences of occupational diseases. The Company continuously conducts counselling activities concerning mental health of the employees and assistance work, and proactively helps the employees reduce their physical stress. The Company perfects the closed-loop management mechanism from gathering, analysing, processing and giving feedback to understand employees' needs and establishes communications channels such as seminars, online or offline surveys, visiting employees' family, frontline visits, face-to-face communication, reception visits, handling incoming mail or email, striving to enhance the communications and to deeply understand the thoughts, working and living conditions of employees as well as the hot topics and problems that the employees care about. Enterprises at all levels actively helped the employees solve practical problems or difficulties through regularising visits, responding to hot issues and helping employees in need, over 18,900 employees were helped during the year. The Company continually built and promoted ‘Four-Smalls' namely small canteens, small bathrooms, small washrooms and small activity rooms, built infant rooms according to the special needs of female employees, organised cultural and sports activities in which the employees were interested, assisting employees in achieving work-life balance and increasing their well-being. China Telecom complies with the Environmental Protection Law of the People's Republic of China, the Energy Conservation Law of the People’s Republic of China and other laws and regulations related to environmental protection, practises the concept of green development and proactively devotes itself to the establishment of ecological civilisation. The Company endeavours to build a green network, pushes forward green operation, sets up environmental indicators, analyses and releases collected performance data on a regular basis, proactively communicates with the society of its environmental protection actions and effectiveness and willingly opens itself to public scrutiny. There was no violation of environmental protection laws and regulations as well as no incident having an material impact on the environment caused by the Company in 2018. The Company's greenhouse gas emissions are mainly from energy use. The Company implemented measures such as the Administrative Measures of China Telecom on Energy Conservation, Emission Reduction and established an energy saving and emission reduction system. Through means like rules and regulations, work plans, assessment evaluation etc., the Company applies energy conservation and emission reduction requirements to link through various operational activities such as procurement, construction, operation and office administration. The Company preferred energy-efficient products when purchasing new equipment and actively applied energy-saving technologies in the facilities of machine rooms and base stations, extended the coverage of the energy-saving technological application for fundamental ancillary facilities, constantly promoted the integration of our business platforms with ‘cloud resource pool' and promoted innovation of management of energy conservation and emission reduction. The Company endeavours to reduce energy consumptions of all kinds as well as greenhouse gas emission. In 2018, the Company further increased investment in energy conservation and emission reduction — reaching RMB674 million, an increase of 26.8% over last year. Focusing on Internet data centres that consumed more energy, the Company used Big Data technology to launch intelligent energy conservation pilot programme for servers. Having accomplished efficient power saving, the Company further expanded the pilot programme to some provincial branches. The Company utilised the energy performance contracting model, actively introduced social capital and technologies to carry out the reform of energy conservation and emission reduction. The Company actively adopted cleaner energy sources and reduced coal consumption. Coal consumption in 2018 decreased by 46.2% comparing to last year. Due to business growth, total electricity consumption in 2018 had increased comparing to the previous year, with a growth rate of 5.0%. The Company carried out technical and management innovation by strengthening energy conservation and emission reduction management. In 2018, the unit energy consumption per information flow was 5.91 kgce/TB, representing a decrease of 16.8% over last year. The Company actively takes action in promotion of corporate philosophy, policy system, and specific measures to improve resource utilisation and conserve natural resources. The Company promotes water conservation. The Company emphasises water conservation in its daily business operations, consumes water rationally and efficiently, and reduces water consumption. The Company actively promotes and advocates water conservation, reminds employees to conserve water by posting reminders regarding water conservation near water facilities and appliances, raising employees' awareness on water conservation. The Company strengthens the management on water usage, actively carries out sewage disposal and treatment work, and promotes reuse of water. The Company encourages replacing fresh water with reclaimed water. In 2018, the Company's reclaimed water usage has increased by 22%. The Company promotes water-saving appliances, and performs regular checks and repairs on each part of the water supply system to prevent occurrences of water leakage and water wastage. In 2018, the total water consumption was 42.85 million tons, which decreased by 1.30 million tons over last year, achieving a 3% reduction while the water consumption per unit operating revenue decreased by 5.8% over last year. The Company encourages paper saving. The Company actively promotes measurements on its paper use. According to the preliminary estimation, the amount of paper used in 2018 was approximately 2,000 tons. Advocating paper savings, the Company promotes the green office concept and advocates the use of both sides of the papers in office use. The Company, from the perspectives of technology and institution, actively promotes reduction of paper use in operation and office facilities sites. In 2018, the Company continuously promoted electronic accounting files management, VAT invoice, electronic bills and paperless operation in order to reduce the use of papers. According to the requirement of taxation reforms of the State, the Company actively investigated the inter-connection between the enterprises financial reporting data and the declaration system of the tax bureau, and promoted automatic and paperless process of tax declaration. The Company enhances the recycling, disposal and utilisation of waste and used materials. The Company strictly follows the Law of the People's Republic of China on the Prevention and Control of Environment Pollution Caused by Solid Wastes and other laws and regulations regarding waste disposal and utilisation, and carries out waste disposal in accordance with regulatory requirements. The Company implemented the Administrative Measures of China Telecom on Reverse Logistics and the revised Administrative Measures of China Telecom on Waste and Idle Recycling and Disposal in 2018, enriched the form of disposal of waste and unused materials, regulated the disposal procedures, strengthened the centralised management of provincial and municipal branches, focused on prevention of disposal risk and promotes the standardisation of the disposal. The Company formulated the incentive policy for cleaning up idle materials, which specifies the incentive standards, encourages all levels of enterprises to conserve resources and reduce environmental pollution through recycling, disposal and utilisation of the waste and used materials. In 2018, the Company constantly enhanced the professional management of waste, promoted the recycling, utilisation and harmless disposal of such waste and old materials as batteries, copper cable and devices. Since the traditional lead-acid battery contains large amounts of heavy metal, waste acid, waste alkali and other electrolyte solution, the battery will pollute the environment if handled inappropriately. The Company, on the one hand, conducts overall on-site inspection of environmental protection practices of the battery supplier, and constantly purchases green and energy-saving products such as lithium iron phosphate battery, and on the other hand, the Company established a management system for battery recycling and disposal to prevent pollution to the environment. The Company transfers waste copper cables generated from the "Fibre Roll-out" campaign to the third parties for recycling and disposal. The Company implemented wireline closed-loop management and strengthened the recycling and reuse of equipment like wireline terminals through measures such as refurbishment and cross provincial re-allocation, etc. Waste and used materials without recovery value are properly disposed in strict accordance with state regulations after taking full account of the environmental impact. In 2018, the Company recycled and disposed various types of waste and used materials over 100,000 tons. The Company's main business is telecommunications information services. Therefore, the use of packaging materials for finished goods is identified as an immaterial issue. China Telecom attaches great importance to protecting the ecological environment during project construction process. The Company has taken proactive environmental protection measures regarding issues in telecommunications engineering construction responding to concerns of the government and the public, such as farmland protection, equipment pollution, construction impact and electromagnetic radiation, to minimise the negative impact on the ecological environment as much as possible. In the area of farmland protection, the existing residence and barren land will be preferred in site selection for base stations, as much as possible no additional farmland will be occupied, to ensure the rational use of land resource. In the area of equipment pollution, non-polluted equipment with no noise and no electromagnetic radiation and free of pollutants is preferred, in order to assure that the operating equipment does not pose a safety hazard risk to surrounding communities and the environment. In the area of construction impact, areas such as mineral reserves, forest, grasslands, wildlife habitats, natural and cultural relics, natural reserves and scenery areas are intentionally avoided when conducting routing roll-out deployment for fibre cables, so as to avoid changing the surrounding environment as much as possible. In the area of electromagnetic radiation, the Company continuously standardises the environmental protection management of base station electromagnetic radiation, monitors and assesses the electromagnetic radiation around the base station, enhances communication with the community, opens itself to public scrutiny, strictly controls the quality of network equipment by imposing controls from the source and actively takes advanced technical means to refine the layout of base station, ensuring the emission standard is stricter than the national emission standards. The Company earnestly implemented the suggestions on implementation of enhancing co-building and co-sharing of telecommunications infrastructure promulgated by the Ministry of Industry and Information Technology and the State-owned Assets Supervision and Administration Commission of the State Council. We closely worked with other telecommunications operators and China Tower Corporation Limited and actively promoted the co-construction and co-sharing of communication infrastructures such as base stations, channels and pole lines, to effectively reduce repeated construction in order to protect the natural environment and landscape, and to reduce the land use and energy and raw materials consumption. In 2018, the Company provided more than 20,000 kilometres of co-shared pole line, more than 1,300 kilometres of co-shared pipeline, and more than 900 sets of shared indoor distribution system. The Company strictly follows the Bidding Law of the People's Republic of China and the purchase-related laws and regulations, implemented the regulation such as the Administrative Measures of China Telecom on Purchase, consistently adhered to the management concepts focusing on value-added, transparent and green procurement, committed to a trusted relationship with suppliers to achieve win-win situations and actively communicated with and encouraged its suppliers to fulfill social responsibilities together. Regarding value-added procurement, the Company implements the requirements such as the Administrative Measures of China Telecom on Quality of the Purchased Materials. In 2018, the Company further enhanced the post-annual assessment on suppliers, daily review complaints to obligation fulfillment, arrival inspection and the comprehensive assessment system combined with the quality on inspection of network operation. The Company enhanced the application of data from abovementioned supplier management activities in purchase bidding evaluation, and facilitated suppliers to improve delivery performance. The formulation of the Administrative Measures of China Telecom on IT Procurement Product Evaluation promoted the regulation on the assessment of IT products and improved the coverage rates for the arrival inspection supplier and category coverage. Regarding transparent procurement, the Company strictly complies with requirements of regulations on the Administrative Measures of China Telecom on the Purchase Bidding and Tendering, and constantly promotes open bidding and transparent sourcing. In 2018, the Company used bidding process for 100% of the projects which it ought to have used bidding process for as required by law, encouraged bidding on a consolidated basis of small value projects and bidding with pre-qualification on service projects. Public bidding rate and public procurement rate were further enhanced. Regarding green procurement, the Company constantly promotes the application of green procurement index in the sourcing process and prioritised resources saving and environmentally friendly products. Energy efficient power modules purchased in 2018 accounted for almost 100% of all purchased modules and the unit energy consumption of the sourced key specialised equipment was 4.3% lower than that in 2017. The Company participates in social welfare activities. We implemented the Welfare Donations Law of the People's Republic of China and other laws and regulations and the Administrative Measures on Donation of China Telecom Group under the principles of 'voluntariness, clear responsibility, action within capabilities, honesty and trustworthiness', supports the development of technology, education, culture, sports and health care through various ways, and actively helps the vulnerable, disabled and disadvantaged. The Company encourages its employees to carry forward the spirit of volunteerism, and actively participate in volunteering activities of different kinds. The Company deepened its engagement in poverty alleviation and supported in targeted areas. 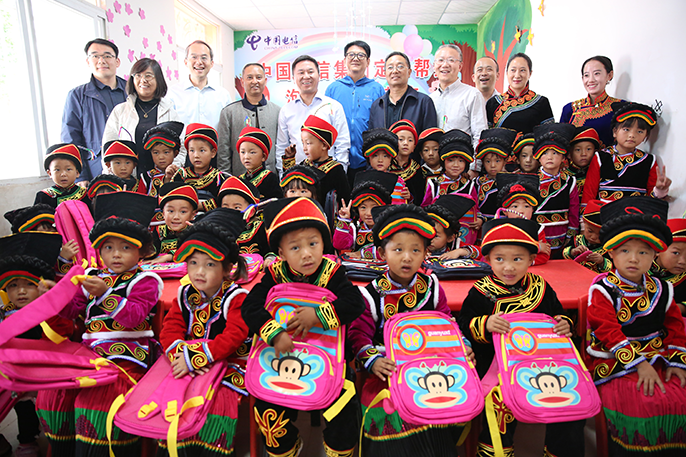 The parent company carried out poverty alleviation in targeted areas including Yanyuan and Muli Counties of Sichuan Province, Shufu County of Xinjiang Uygur Autonomous Region, Tianlin County of Guangxi Zhuang Autonomous Region and provided support in Banbar County of Tibet Autonomous Region, Jiuzhi County of Qinghai Province, all of which were deep-poverty regions. The Company cooperated with the parent company to assign the cadre team to carry out poverty alleviation work in the above 6 counties in 2018. The Company conducted poverty alleviation through projects focusing on network, informatisation, industry, employment, intelligence and social welfare in order to improve the living condition, develop the economy, and increase the income of local residents. In addition, the Company also cooperates with the parent company to participate in local poverty alleviation projects in other provinces (autonomous regions and municipalities). The Company actively relieves poverty by informatisation and facilities the development in rural areas. The Company constantly promotes the application of the Big Data Management platform for targeted poverty alleviation to all regions which makes it possible for the poverty alleviation administration authority to manage at village, household and individual levels and to facilitate the measurement implementation. By the end of 2018, the management platform was deployed to more than 930 counties in 15 provinces (autonomous regions, municipalities), benefiting more than 38 million registered population living in poverty. The Company actively supports the construction of information system for poverty alleviation developed by the State Council Leading Group Office of Poverty Alleviation and Development and actively provides technical support and expands the poverty alleviation channel to Social Participation Poverty Alleviation and Development of China. The Company constantly promotes farmer cooperatives and assists the economy development in rural areas based on their actual needs. In 2019, the Company will deeply embrace new development philosophies featuring innovation, coordination, openness and co-sharing. The Company will increase communication with stakeholders and closely cooperate with all parties in the industry, endeavouring to establish advanced and developed information infrastructure. 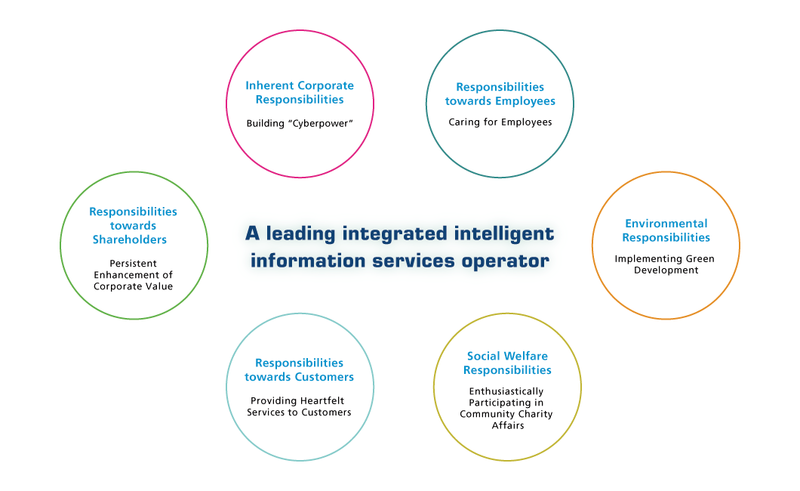 Promoting deep integration between information technology and various sectors and industries, we persistently enhanced the efficiency of corporate operation management and the operation services level, so as to facilitate high-quality economic development and accomplish the building of well-off society.